It is important to remember that Facebook’s EdgeRank algorithm rewards pages in the newsfeed based on the number of interactions a page receives. An interaction can be defined as a summary of “Likes,” posts, or comments about the page. To show up in as many users’ top newsfeeds as possible, your content must be fresh, engaging, current and compelling. Then your presence in their newsfeeds becomes a cycle; you post content that gets “Likes” and comments, and your future content appears in the newsfeeds of those who “Liked” and commented on earlier content. Don’t forget: as prospects interact with you through “Likes,” reposts, or shares, you should be tracking engagement. Visual Content is critical to sharing and maintaining EdgeRank. On Facebook, people love sharing visual content, so you want to make sure that you are leveraging something that is visually stimulating. On my Facebook page, I use a variety of visual content to get engagement from followers. The Group feature is useful for demonstrating your company’s passion for a topic, and gathers like-minded people to share ideas. The best part is that the more people join your group, the more the group gets promoted to their friends and networks, increasing the group’s popularity and growth. Creating a Facebook Group is a great way for businesses to create awareness, increase inbound links and foster loyalty. Facebook launched this feature in response to Google+’s circles, so it functions in a very similar way. You can subscribe to and organize lists for different topics or influencers you want to follow. As an example, you might have a list for Social Media Influencers and another list for competitors. Through lists you can easily view and post to select groups or a company, which makes it easier for you to monitor and engage. Promoted posts show up in the newsfeed of all your fans and are visible to their friends as well. 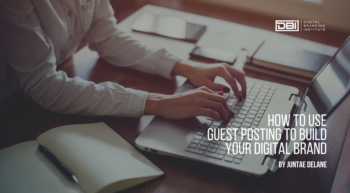 It becomes a sponsored story that is seen by more people than a regular post, so be sure your promoted post is strong, current and compelling. It is pretty safe to say that businesses will never be able to compete with posts that are strictly entertainment-based or for social purposes only. But by using this promoted post feature, you can call attention to posts that you believe will generate the most impact. I found the magic formula for promoted posts to be this: Clever messaging with a fun visual, all tied back to a strong offer or piece of content. While your Facebook ads need to appeal to your audience, think outside the box. Use eye-catching pictures and compelling language. Remember: you’re competing for attention in a noisy environment. Before the timeline changes took place, you could capture “Likes” via your welcome page by gating your content and encouraging users to “Like” your page for access to this exclusive content. This has gone away with timeline. Now Facebook gives you the option to feature up to twelve apps. Four of these apps are shown by default, with the remaining apps under the fold and only visible by clicking and expanding the tab on the right. Although you cannot move the photo app as the default, you can control which other three apps show above the fold. It’s important to optimize these three and rotate them frequently with fresh offers. Allowing you to change the apps appearing above the fold is one of the most interactive and engaging portions of the timeline and your best chance to showcase a call to action or offer that will convert. Take this into consideration when selecting the display images of your apps. Consider the image a small advertisement.